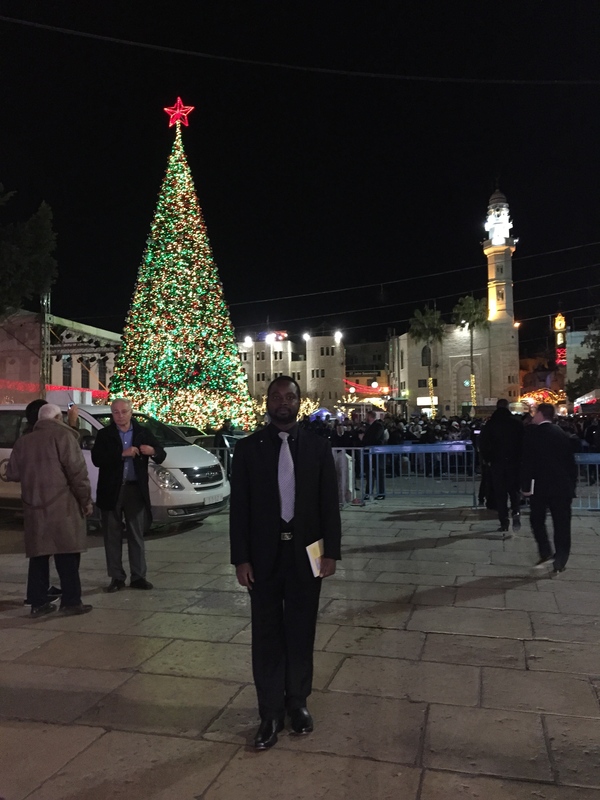 Christmas was pretty great, here in Jerusalem. 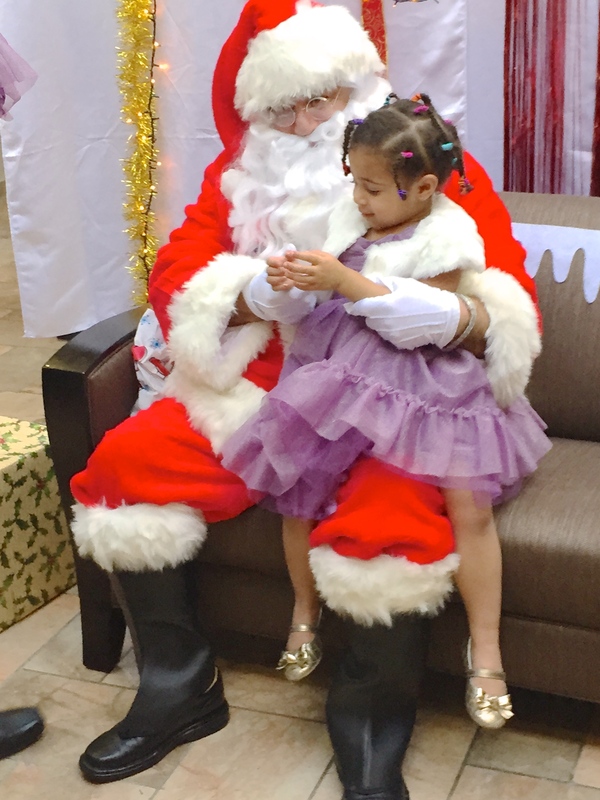 The Consulate hosted a Christmas party for the kids, and I was able to take a few hours of leave to go see my kids make a mess while making cookies and meet Santa Claus. Amazingly enough, we didn’t get any great pictures of the two girls in their matching dresses. The girls had a great time, though, especially afterwards, when we took them outside to play in the Consulate courtyard with other kids from the Mission. 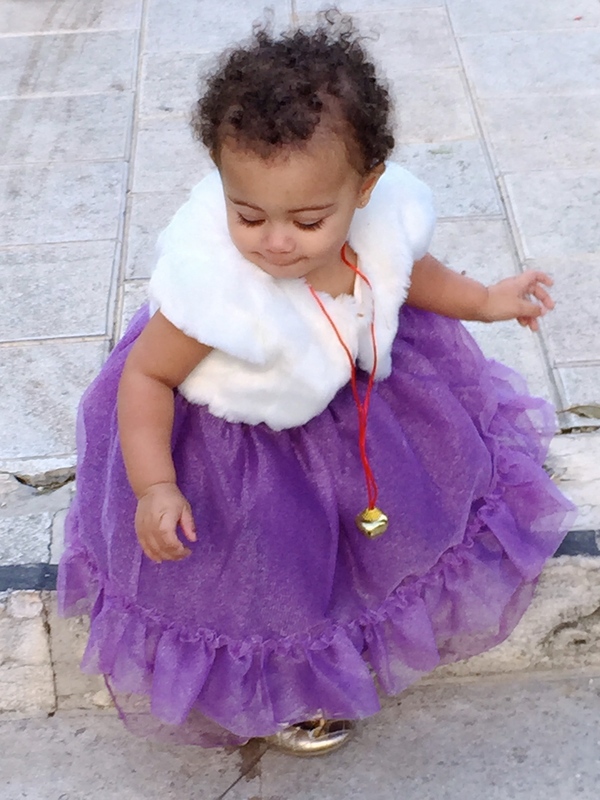 Grace is learning to walk down steps. Christmas itself was a quiet affair. Bertrand went to Bethleham for the midnight mass, while I stayed home to stuff the stockings and wrap presents. I’m sure many other Foreign Service families have faced the problem of where to hang stockings before our household effects arrive with our hooks and our drill and necessary Christmas hardware. I bought these tiny stockings at Target to stuff into our suitcases, and we hung them on our Drexel China cabinet. Stockings hung on our Drexel with care. Christmas morning was again, quiet. I woke up early to start on planning for 2015, and let Bertrand and the kids sleep in. 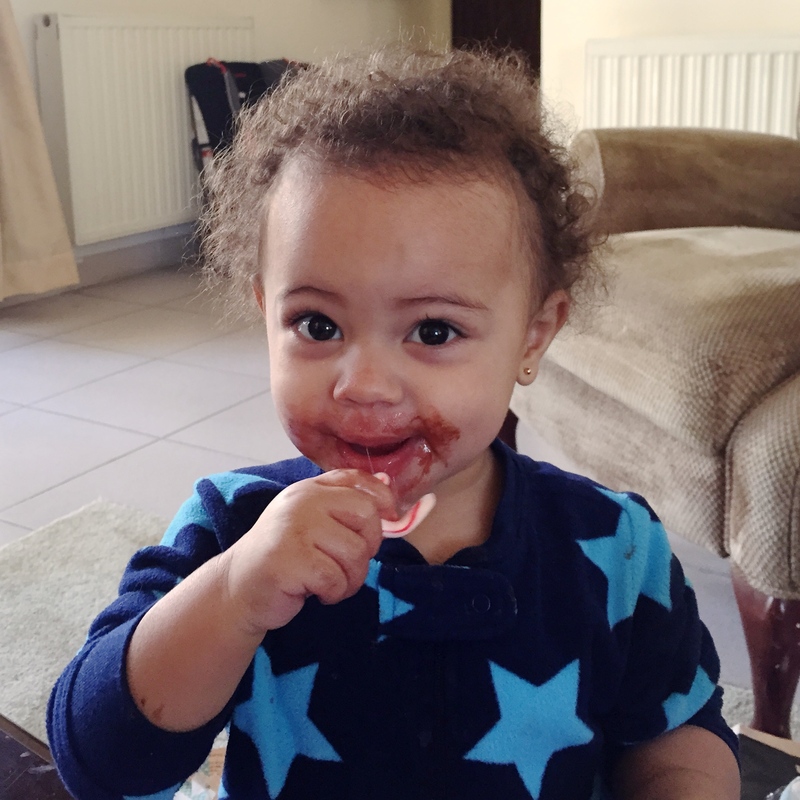 When everyone finally woke up, we opened presents, then let the kids dig into the chocolate in their stockings. One of the things that living abroad for so long has taught me is that making Christmas about the decorations and the music and the stuff is a sure path to disappointment. We celebrated only with the decorations I could fit into our suitcases, and I wrapped presents with a local newspaper. The kids didn’t care. And we didn’t care. We had a wonderful day celebrating what it means to be family.